Department of Anesthesiology, Leiden University Medical Center, P5-Q, 2300 RC Leiden, The Netherlands. The pulse transit time (PTT) is the time interval between the R-wave of the ECG and the appearance of the pulse wave in the periphery during the same cardiac cycle. PTT is influenced by various factors including sympathetic tone and vascular compliance. The authors assessed the effect of anesthesia, intubation and laparoscopic (LPS) versus laparotomic (LPT) surgery on PTT. (1) To determine the incidence of PMV after AAR–DHCA. (2) To determine whether PMV after AAR-DHCA is a multivariate predictor for mortality or length of stay in the intensive care unit. (3) To determine multivariate predictors for PMV after AAR-DHCA. (4) To determine whether aprotinin influences PMV after AAR-DHCA. 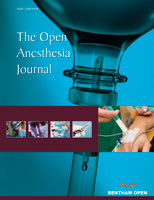 Anesthesia increased PTT values, while painful stimuli caused an immediate reduction. During surgery, we observed group effects on PTT and MAP with 10-25% lower PTT values (P < 0.001) and 15-30% greater MAP values (P < 0.01) in the LPS group. HR did not differ between groups. The pulse transit time was used successfully to track the effect of anesthesia and stressful nociceptive stimuli during induction of anesthesia. The shorter PTT values during laparoscopic abdominal surgery compared to open abdominal surgery suggest a higher sympathetic tone in patients undergoing laparoscopic surgery and/or an effect of the increased abdominal pressure on PTT.